US Secretary of State John Kerry will present a written framework agreement next week for peace between the Israelis and Palestinians, a senior Arab League official said Sunday, while unveiling what he said were Palestinian demands for a final deal. Arab League Assistant Secretary General Mohammad Sbeih said that Palestinian Authority President Mahmoud Abbas and other Arab officials revealed to an Arab League meeting of foreign ministers that Kerry would present the plan on December 31, according to a report in the Palestinian Ma’an news agency. Abbas told the meeting that he would not respond to the Kerry proposal immediately, but would instead present it first to Arab countries in order to come to a joint decision. Many of the demands Abbas is said to be making for a permanent accord, meanwhile, run counter to reported Israeli requirements for a deal. Israel has been demanding that the PA recognize Israel as a Jewish State, for instance, which Abbas will refuse, according to the report. 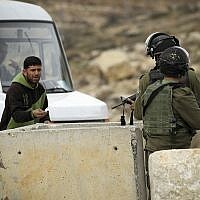 Israel has also insisted upon the continued presence of Israeli troops in the Jordan Valley. 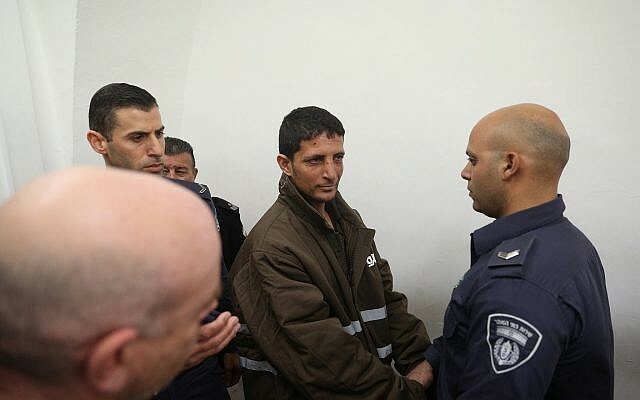 Sbeih said that Abbas would not agree to even one Israeli soldier on the Palestinian-Jordanian border, but that he would be open to an international force stationed there — something Israel’s Prime Minister Benjamin Netanyahu has rejected. 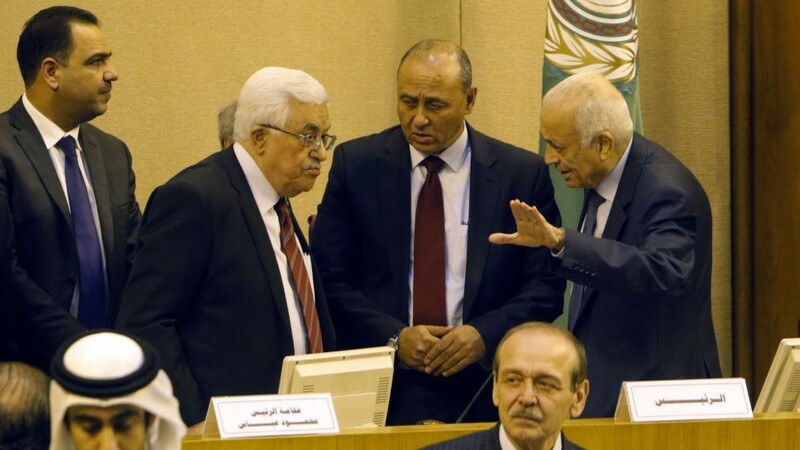 Sbeih also indicated that Abbas refuses to acquiesce to a completely demilitarized Palestinian state. Abbas would consent to a three-year Israeli military withdrawal process from the territories, according to an agreed upon timeline, the Arab League official said. The PA president would demand control of all East Jerusalem, which would become the Palestinian capital, and would also be open to one-for-one land swaps to adjust the Green Line, provided the territory to be swapped was of equivalent value. Under heavy US pressure, Israel and the Palestinians resumed negotiations in July after a three-year hiatus. The sides have reportedly met more than 20 times since and Kerry has traveled to the region no fewer than nine times in recent months to further talks, though officials have reportedly complained that talks are at a dead-end. Kerry has been pushing for a framework agreement that would outline particulars of a permanent status accord to resolve core issues — Israeli security, Jerusalem, the borders of a Palestinian state, and the Palestinian refugees. According a Sunday report from the London-based Arabic-language newspaper Asharq Al-Awsat, Kerry has already made arrangements for the visit to the region during which he will offer his solution. 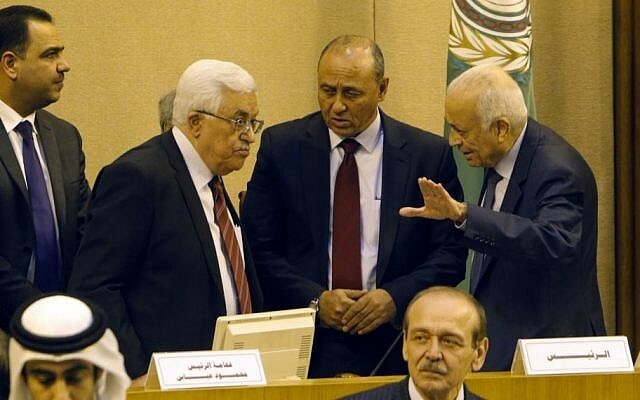 An unnamed source informed the newspaper that Abbas told members of the Arab League that the US is seeking to salvage peace talks that, according to persistent reports, are on the rocks. Abbas reportedly said that hotels and venues have already been booked for Kerry’s entourage, which is due to arrive before the end of December. As a preliminary step to the agreement, Kerry proposed a security plan earlier this month to mollify Israeli concerns about control over the Jordanian border and Jordan Valley area. Among its key elements, the US security plan reportedly provides for a series of border crossings along the Jordan Valley border between the West Bank and Jordan which would be jointly controlled by Israel and the PA. The entire border itself, however, would remain under full Israeli control, for the next 10-15 years, with the IDF joined only by a symbolic Palestinian security presence. The US, under the proposal, would provide an additional security “envelope,” which would utilize drones and other high-tech equipment to provide real-time intelligence on any terrorist threats and other unlawful border activity. On Saturday the Arab League rejected the security plan at an emergency meeting of its foreign ministers in Cairo that was called by Abbas. 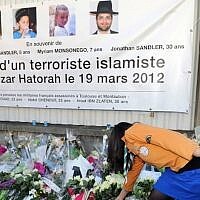 Kerry was last in the region earlier this month as Israel and neighboring countries were hit by a severe winter storm. He met with Netanyahu, President Shimon Peres and Abbas.